Adorable Keiki dolls reflect the sweet children of Hawaii! The word "Keiki" means child in Hawaiian. 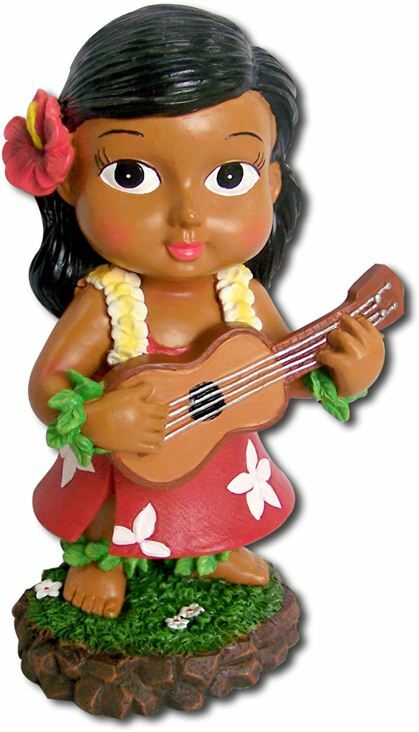 Keiki with Ukulele miniature dashboard doll is sculpted by an artist and hand painted to detail. Place the doll on your car dashboard and watch her dance. Red skirt Money Tiki Dashboard Doll 4"
Already on our dash board, she looks like our daughter.